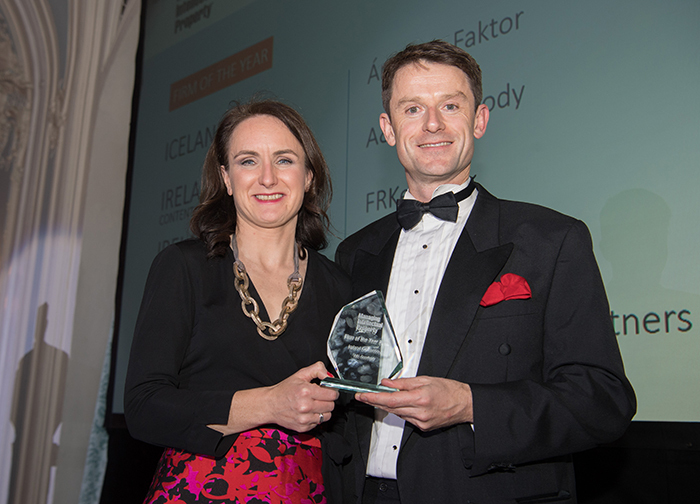 A&L Goodbody has been named 'Ireland (Contentious) Firm of the Year 2018' by the leading international publication Managing Intellectual Property (MIP), at an awards ceremony in London. Having previously been awarded Irish law firm of the year in 2016, 2014 and 2013 by MIP, this accolade reinforces the firm's strength and reputation in this field. The annual MIP awards recognise the leading firms in each jurisdiction across Europe, Middle East and Africa. Winning firms are selected due to the innovative and challenging IP work they advise on. "We are delighted to have received this award. Ireland's IP and technology sector continues to grow and the insights, knowledge and expertise we provide our clients is ever more important to them."